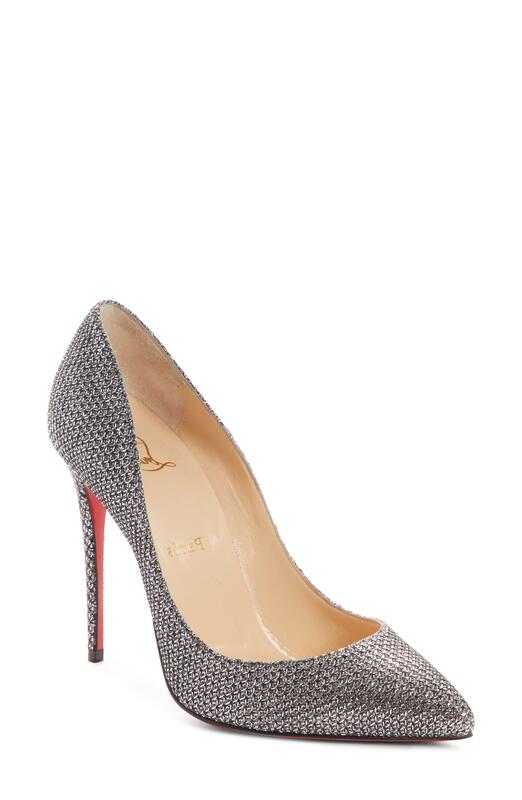 See more Christian Louboutin Pumps. We check over 450 stores daily and we last saw this product for $745 at Nordstrom. A silvery shimmer emphasizes the sleek lines of this fan-favorite pump set on a slimmed-down stiletto-a hallmark of the Follies line. A signature red sole completes the iconic style.